Hello and welcome to another edition of the WCU PodCats Podcast! This week Josh and Patrick welcome WCU’s Director of Sustainability and Energy Management Lauren Bishop to the show to talk about the brand new Electron Garden on the Green Solar Hammock Lounge which collects solar energy and gives students a great new place to hammock. 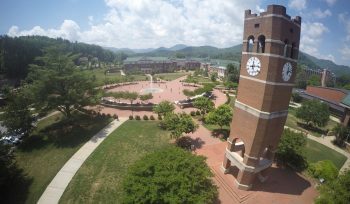 For more information on the EGG and all of the WCU Sustainability initiatives you can visit their Facebook page: Sustainability at WCU. Please remember to rate/review/subscribe/download the PodCats on iTunes, like us on Facebook, and follow us on Twitter. Thanks again for joining us and as always… Go Cats!